Muscular dystrophy causes Yoma, who is forty one, to spend a lot of time in a wheelchair. 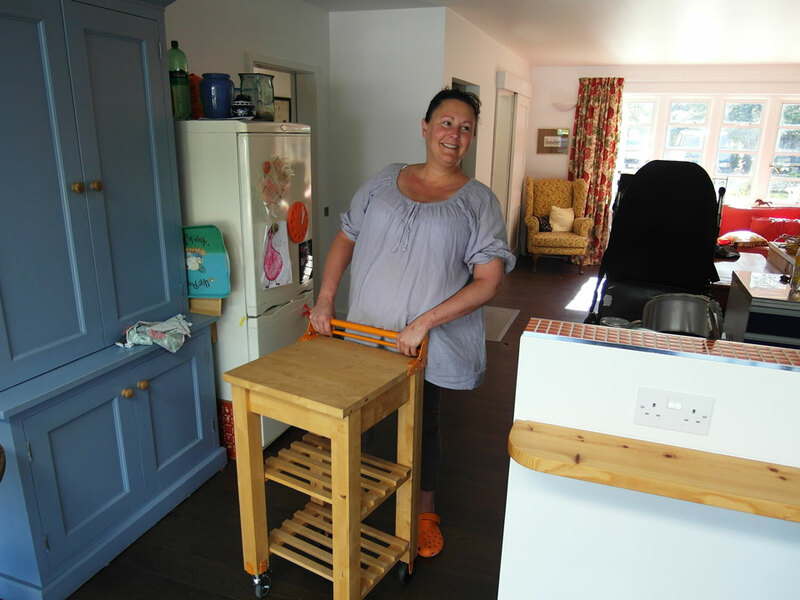 At home in Oxfordshire, Yoma loves to cook, and with support she can stand and prepare meals in the kitchen. She and her partner, Peter, asked DEMAND to design a support that she could move around the kitchen. Our team modified their chopping block and fitted it with wheels and brakes that default to ‘on’. This block supports Yoma as well as doing it’s usual job in food preparation. When she wants to move across the kitchen, Yoma pulls a lever to release the brakes. Both Yoma and Peter are delighted with the result which gives Yoma much more independence.